I made placemats for my parents for Christmas. 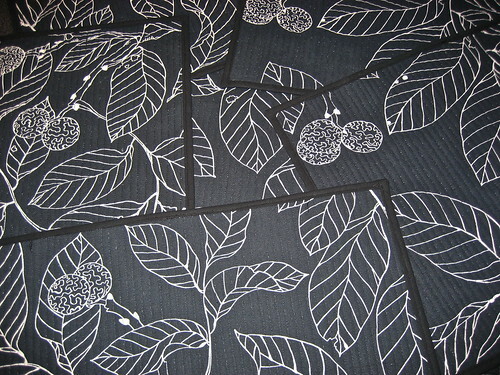 You can find the tutorial/pattern here over at Handmade by Alissa. 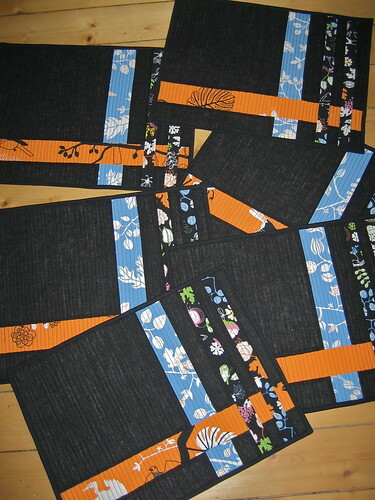 The fabrics are from IKEA, except for the black linnen fabric on the front. Can’t remember where I bought that. All fabrics were pieces I already had at home. Same goes for the batting. I had to buy biased tape and thread, but was it. I was surprised at how much time I had to spend making them though. The last one was finished just a couple of hours before I had to leave for the Christmas party. Cutting the pieces took time. Sewing with linen fabrics is more work than cotton fabrics and I had totally forgotten how linnen bahves when it kind of shifts sideways. I had to be extra careful when pinning to make ends match. And there was a lot of ironing going on as well. 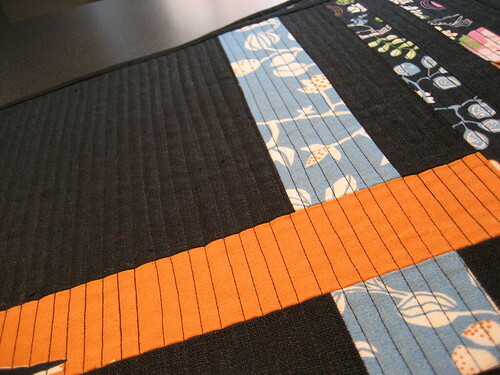 Quilting took about 30 minutes per placemat. And I think I spent 1½ on getting the first biased tape attached around the edges. I got faster and faster at doing it though (and maybe a bit more forgiving too) and the last one was fastened in 40 minutes or so. 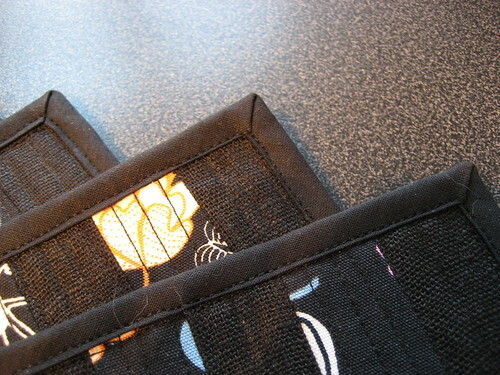 This entry was posted in Creative, Sewing and tagged creative, IKEA, sewing. Bookmark the permalink. I love the design and the colors! They look great. Those are awesome! You have such a fun eye for fabrics. Anna! These are stunning! I wouldn’t use them on week nights either.